JumpCloud is a directory-as-a-service (DaaS), designed to securely connect employee identities to IT resources- devices, apps, & networks. "Game Changer for modern Identity and Systems Management"
"I've been using JumpCloud for over a year and it's great"
Simplicity. It's very simple to start using to manage our G Suite and Office 365 accounts, as well as laptop and server account management. Having the ability to add a user to a group of servers, have that user's account be automatically created and their SSH keys pushed with a few clicks saves me a ton of time. We have a significant portion of our infrastructure in AWS and one thing that bothers me is that there's currently no support for AWS Linux. Not a huge deal moving forward, but time consuming at best when deploying the agent to legacy AWS Linux EC2 instance. Excellent for smaller companies with mixed OS user base. Unnecessary if you're a Windows shop using Active Directory. There was no easy way for one or two users to manage laptop security, server access, RADIUS wifi access, and the automation of G Suite account creation. Once set up, adding a new user to all of these items, for example, requires a few checkboxes and a save button. "Replaced my Domain Controller/Active Directory entirely - with such ease!" I like the integration with so many different work-relevant platforms that makes JumpCloud my choice for managing devices in different locations through an online portal. The GSuite integration alone sold me on JumpCloud. I am a "lone-ranger" IT support professional so a lot of what I do, I do by myself. I believe that JumpCloud has made my job and the experience supporting my organization even better, and with more control from any web browser. I haven't discovered anything I do not like as of yet. I would recommend this product for anyone with multiple locations with physical workstations to manage. This product really brings the best part of LDAP to the cloud, and then some! I replaced my entire Active Directory server, which just happened to be my last physical server onsite. Now, I can manage my entire business online, including my physical workstations at all of our locations. Creating access and deleting access has almost been completely done from the JumpCloud portal. Simple interface, easy to install agent and powerful commands. Pricing is simple to understand and easy to plan for each year. Customization for niche needs seems to be impossible to add as it would affect their other customers. However, we have made use of Commands that have helped solved most of our needs. There is no real time tracking for number of users logged in. There is no report like module for running analytics on our systems. Again, we can use commands for this but would be nice to have something built in. If you don't need the bells and whistles that a true domain controller provides and just need user management with system provisioning, JumpCloud is perfect. 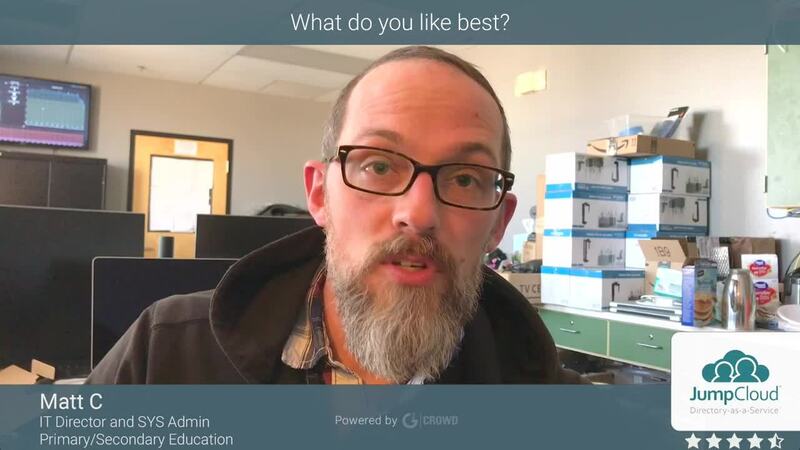 "I love jumpcloud and will never go back to Active Directory"
I love the ease of administration, rolling out new users, handing out machines, and remotely managing our workforce that is across the country. The tie in to G Suite and Office 365 make managing usernames/passwords so easy for our team. I also really like how easy it was to establish a RADIUS server using JumpCloud and Meraki AP's. I have trouble getting the "Commands" to work consistently (think Group Policies with AD), though I suspect it is with my skill writing scripts than something fundamentally not working. I would like more access to reports to help troubleshoot. It seems you have to utilize the API, which is not overly difficult using Powershell, but I wish it were built in. I've had some false positive lockouts on users that I had a hard time troubleshooting where it was coming from. I get why, but switching from AD, it was kind of a pain transitioning machines. New/clean machines are easy, but you have to unjoin the domain first, so this made rollout to end user machines slightly more of a headache. Also, this is more of a complaint on Microsoft, but JumpCloud only works if you are NOT connected to a AD Domain. However, with Windows 10, Microsoft prompts users to enter their Office 365 credentials all over the place, so my users inevitably enroll into the Azure AD service bundled with Office 365. So it can break the connection to jumpcloud. That one fortunately is easy to fix. Try it out. One of the things that made it easy to choose was how easy it was to test out without committing 100%. I was sold pretty quickly. Lower cost of ownership, and ease of use so we don't have to spend time making configuration changes. No reliance on hardware makes it easier to manage both on-site and off-site workers. Allowing users to manage a single username and password across their PC logins, G Suite, Office 365, RADIUS wifi access, and just about everything else. "Fantastic product for a modern workforce"
The ability to be able to manage, control and provision machines/users remotely from anywhere in the world. No mobile app for quickly provisioning/blocking users or updating permissions and the poor user experience from iOS tablet devices as the website isn’t overly responsive to differing screen sizes. Definitely worth giving it a try. The dual platform support (Windows & Mac) is another hugely underestimated feature as trying to manage a dual environment can be very time consuming and difficult to configure. With JumpCloud - you install the appropriate agent on the end machine, provision the users and your done! Being able to completely remove our reliance on Windows servers at all our locations while enabling our workforce to be entirely mobile working with our cloud platforms. "Excellent alternative to hosting your own Directory"
I like that it supports multiple protocols and works with our heterogeneous environment. We use 3 different Linux OSs, Windows clients, Windows servers, MacBooks, NAS and cloud services. It not really a dislike but I wish JumpCloud would support MFA with LDAP. I've seen it implemented before where the MFA token is simply appended to the end of the password when using LDAP. For small-to-medium organisation, using JumpCloud is so ease and the migration path is simple and straightforward. I feel that the lack of group heirachies would concern larger organisations. We need to remove the reliance on shared passwords to access our internal and hosted systems. Hosted/cloud solutions would have required us to expose our internal directory to the Web and as we don't have in-house security experts, we decided that Directory-as-a-Service best suited our needs. We don't have a traditional IT setup; all of our employees use local non-admin accounts. Jumpcloud gives us the ability to have admin accounts on every machine and allows us to recover a machine when someone leaves. Previous to Jumpcloud every employee used the local admin account to access their computer. I'd like to see more security policies that could be applied to Windows machines. "Excellent SSO solution with native desktop client support!" JumpCloud allows us to deploy SSO while integrating with Google Apps and deploy a native desktop client without having to utilize Active Directory. The Windows desktop client can be difficult to deploy if an existing nomenclature is not observed and SSO integrations can continue to be improved. The ability to deploy a desktop client sets JumpCloud apart from others in this space. "Easy Ldap without extra overhead"
It is extremely simple to set up and get running in a very short time. Installing on servers is what attracted me to the service as not many other providers make it as easy as jump cloud. Single sign on across many different applications used by employees, account provisioning, wifi authentication, and server ssh key distribution. "A solution for companies born-in-the-cloud"
I work for a small Healthcare startup that started with only a handful of employees (8). With Jumpcloud's 10-free-forever plan was the start we needed for our growing company. Having access to every feature offered by Jumpcloud was a huge plus allowing us to hit goals for NIST. Support is only provided via email. To even have a forum where other Jumpcloud users could communicate would be a huge plus. Utilize the Free-Forever plan and test out JumpCloud. - Multifactor Authentication on all of our SaaS apps. "Finally Mac and Windows working cloud identity management"
The fact that you can manage systems, manage users in one place, connect to azure AD and connect to Gsuite. Wide variety of SSO support. Some SSO integrations are still missing, i would also add more options for endpoint policies. the policies are the most important thing for CISO's looking for a good identity management to replace GPO. Dont think too much, its working and its working they way they say it is. Security options and management is there and full power. 5* product. AD replacement, SSO logins and accounts, Systems (linux) accesses to users from one dashboard. 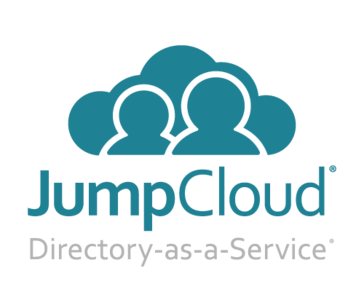 "Multiplatform Active Directory Alternative that works great"
Jumpcloud actively improves their service. The management portal is full featured and straightforward. Great documentation provides easy learning of new features. JumpCloud has made setting up new users simpler for us. Third party account integrations allows password updates to propagate and the system management makes controlling user access to systems simple. Nothing to dislike, this tool works and has many features. Take advantage of as many features as you can, jump in wholeheartedly you won't be disappointed. Setting up users and providing a more unified user access experience. Managing users access to systems is excellent. Missing several cloud services we are using and usually, in order to use SSO integration you need to upgrade your third-party product subscription to Enterprise/Business level. "A couple years in on using Jumpcloud"
user/system management is incredibly simple. granting/revoking permissions is a quick and easy. If the lack of group policy on windows isn't an issue, this is a whole lot easier to set up than an active directory instance. we manage a number of AWS instances and access to them for a team of engineers, developers, and DBAs. It's very simple to get keys generated and permissions granted based on user groups or system groups. "Great software that makes keys and passwords easy to use across all applications!" Jumpcloud helped a lot with getting all of my account credentials synced. It was nice having one common area to place these credentials, and to see these be automatically applied to the participating services. The application's UI is very intuitive, and it's very easy to get started with Jumpcloud. I haven't found anything that I particularly dislike about the service yet. Maybe adding a tutorial upon first sign in would be beneficial for increased user awareness of what's going on. Makes syncing, managing, and creating account credentials across multiple devices a breeze. JumpCloud gives us a single place to manage and provision all of our users. Single point for provisioning/de-provisioning both for efficiency but also compliance. "Easy to use and very light weight"
The fact that it is cloud based and does not require any hardware on premises to maintain. The learning curve is confusing. Not all the software is supported like SVN/GIT, third-party services like 401k etc. Nothing to dislike, only waiting for more integrations ideas. "1 year of usage thus far, no problems"
Centralized cloud based directory allowing us to provision users across services. "Jump cloud for a small school"
We are using the service to authenticate our lab/teacher PC's to maintain accounts for each person at the school. The implementation and ongoing maintenance of the platform is very simple. A simple to use and easy to implement solution to companies that have not implemented active directory. "Efficient solution for managing users"
I enjoy the freedom of being able to set up different employees for managing their usage across our 20 computers. It is a little difficult to figure out on your own without a background in IT or being tech savvy. Scheduled on-board training (mandatory) from JumpCloud. * We monitor all JumpCloud reviews to prevent fraudulent reviews and keep review quality high. We do not post reviews by company employees or direct competitors. Validated reviews require the user to submit a screenshot of the product containing their user ID, in order to verify a user is an actual user of the product. Hi there! Are you looking to implement a solution like JumpCloud?